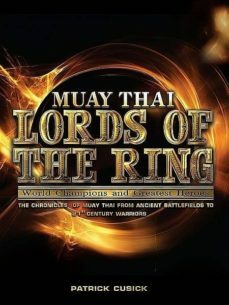 Muay Thai - World Champions and Greatest Heroes The chronicles of Muay Thai from ancient battlefields to 21st century warriors By Patrick Cusick, a journalist, editor and specialist writer on Asian cultures and human nature. During a 30-year career in mainstream media he edited newspapers and magazines in Australia, Hong Kong and Thailand and became a popular presenter for lifestyle programs on cable television networks including CNBC and Star TV. As a scholar of naturopathy and Traditional Chinese Medicine he spent several years travelling the world researching and writing while studying ancient cultures including alchemy and cosmology, as well as interviewing the leading scientific pioneers of new physics and quantum mechanics.